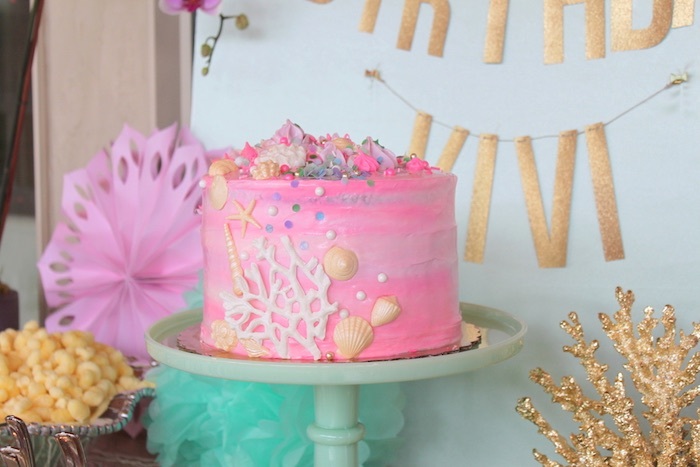 Ready for a birthday splash that is sure to have you swimming with joy?! 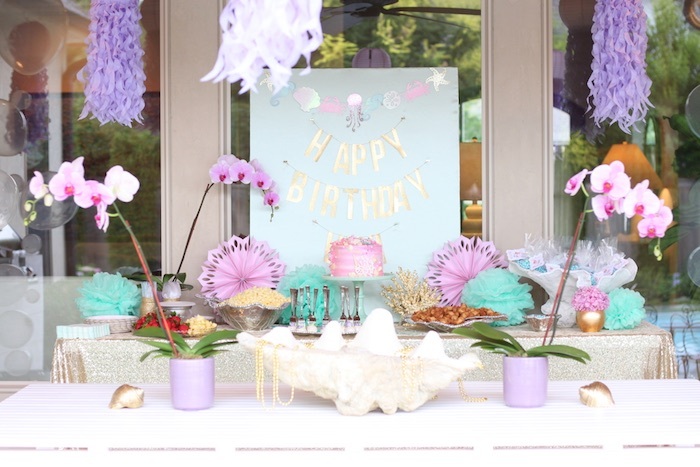 Check out this adorably sweet and fun Under the Sea Birthday Pool Party submitted by Ashley Cross of Ashley Cross Designs out of Tulsa, OK! 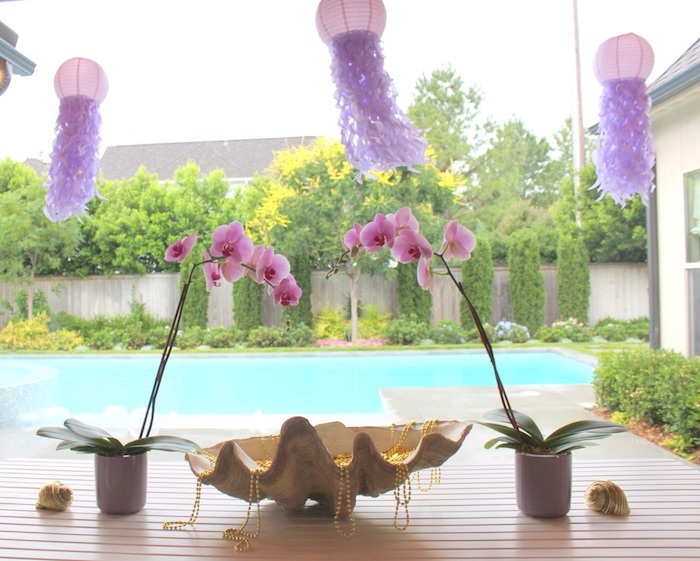 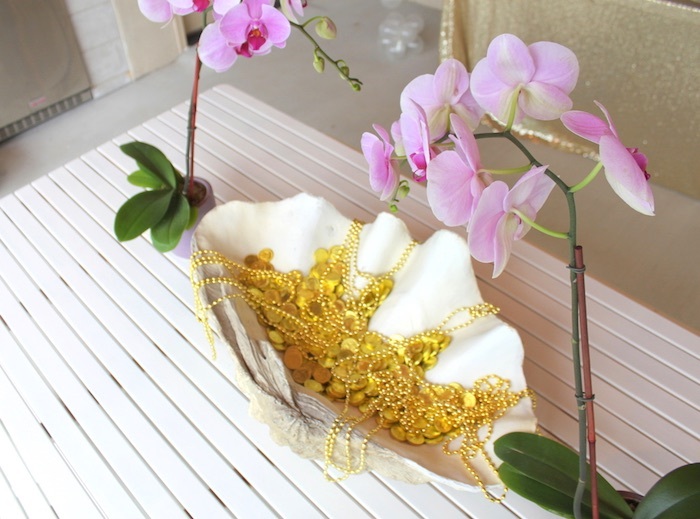 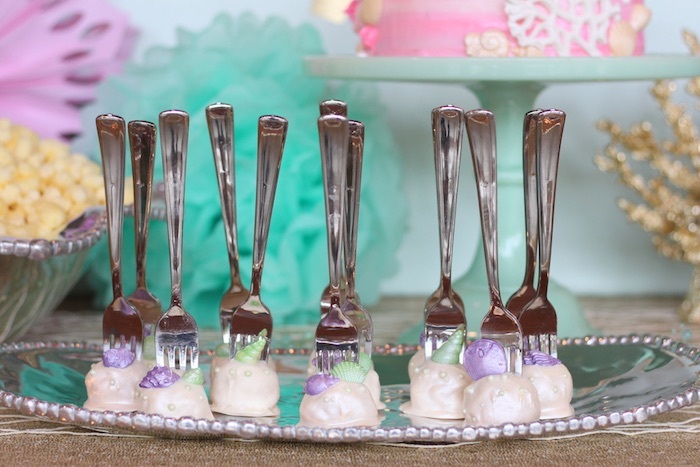 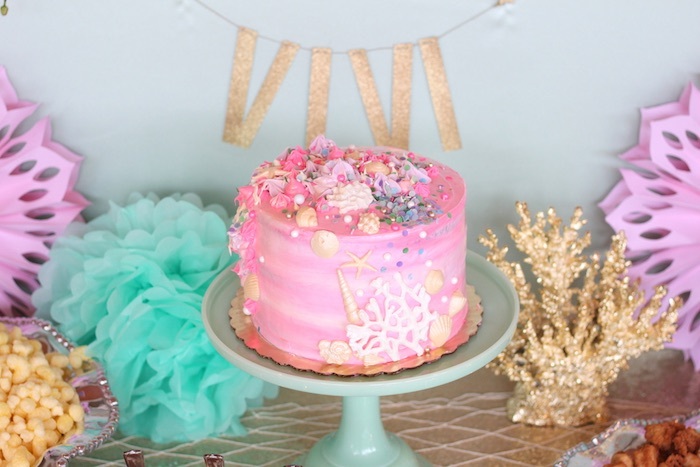 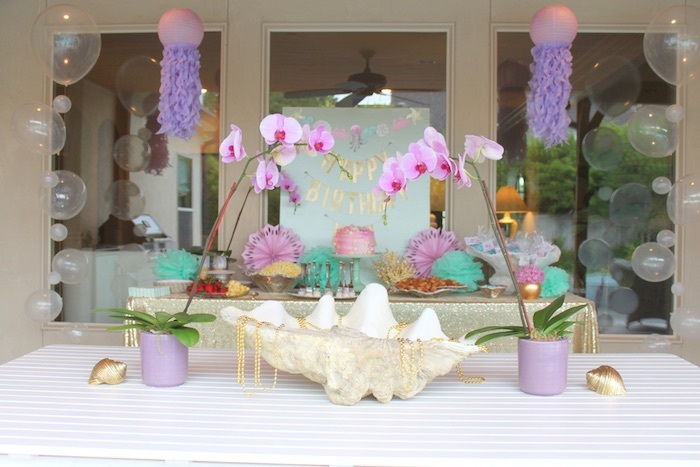 Whether its the pastel color palette that draws you in or the cute and creative under the sea-inspired decorations, one thing to be sure of is that this party is one spectacular under the sea themed adventure! 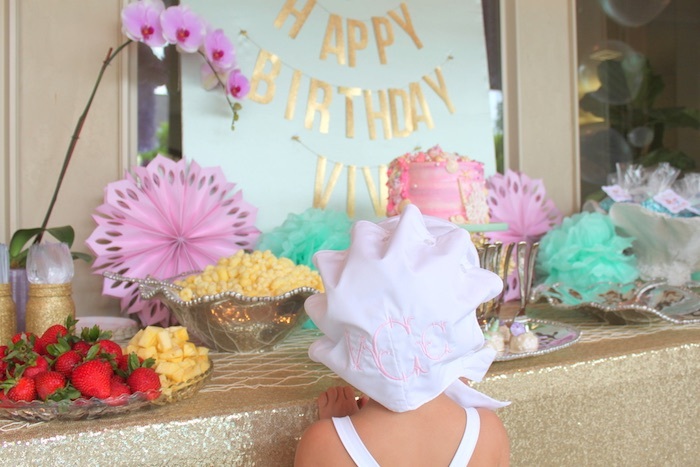 And the cutest sea shell-inspired bonnet worn by the birthday girl! 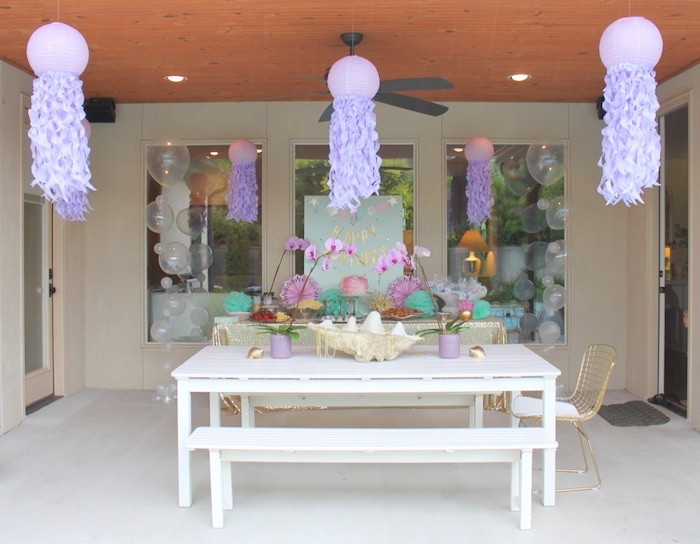 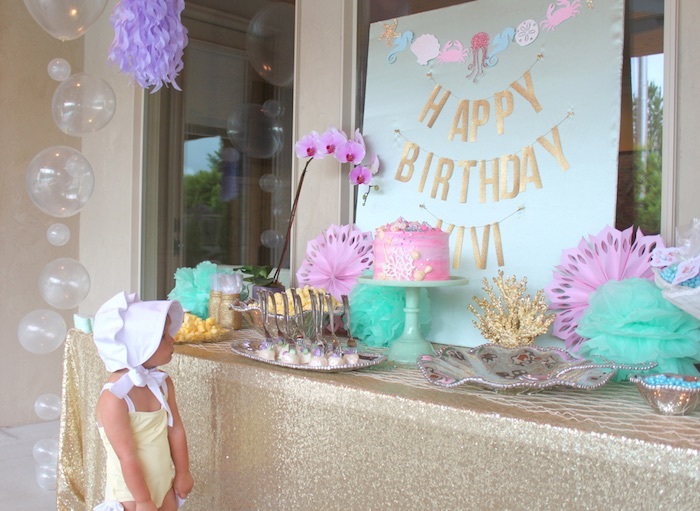 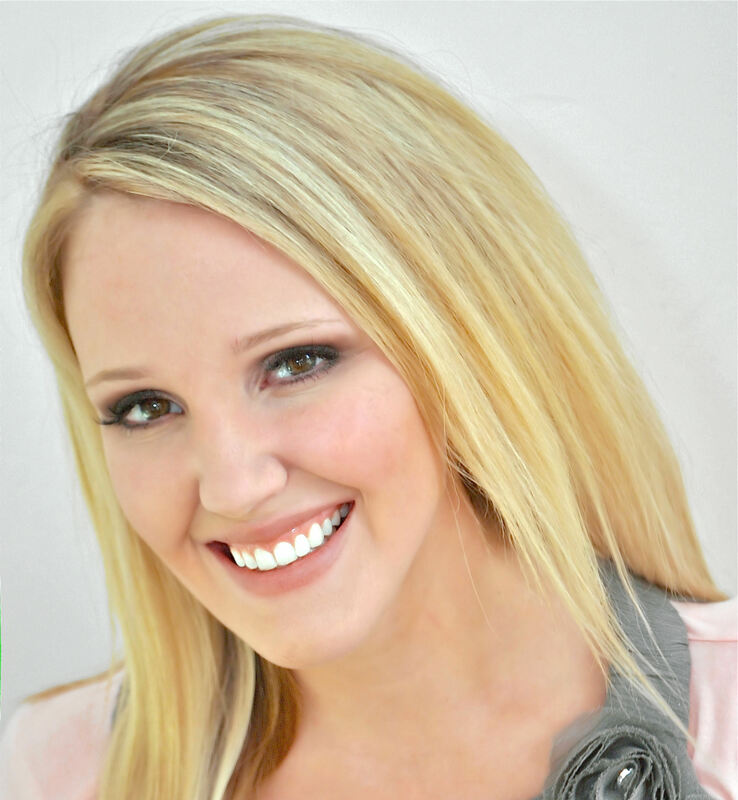 This is what Ashely shared about the party- “This birthday party was a swim party for my daughter Vivian’s 3rd birthday. 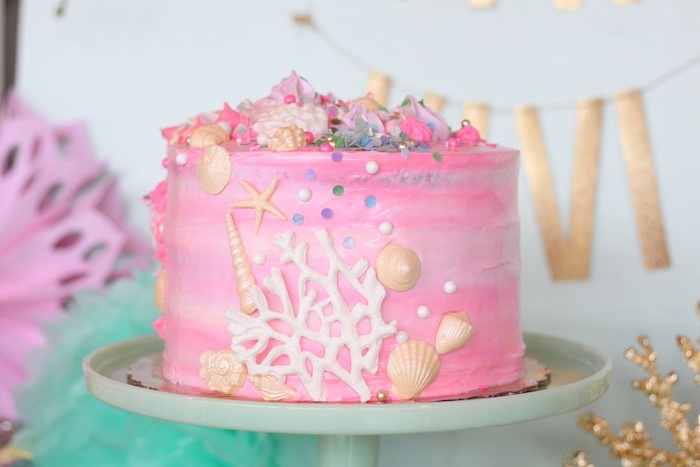 She loves all things princess and Disney so this was a twist on the little mermaid because she’s currently mermaid obsessed. 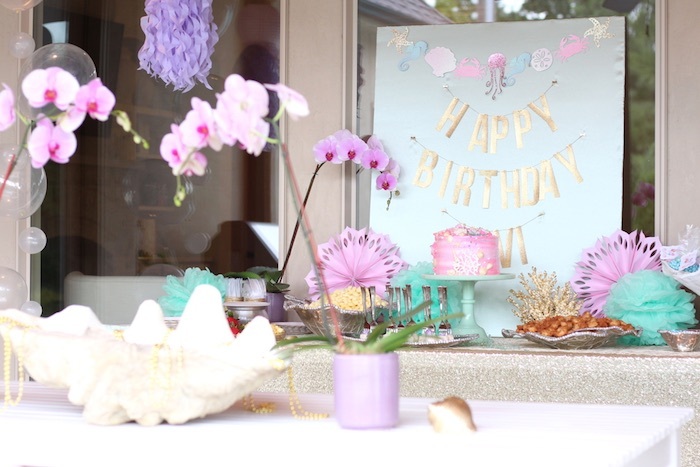 It was inspired by The Mermaid Collection Invitations by Loralee Lewis. 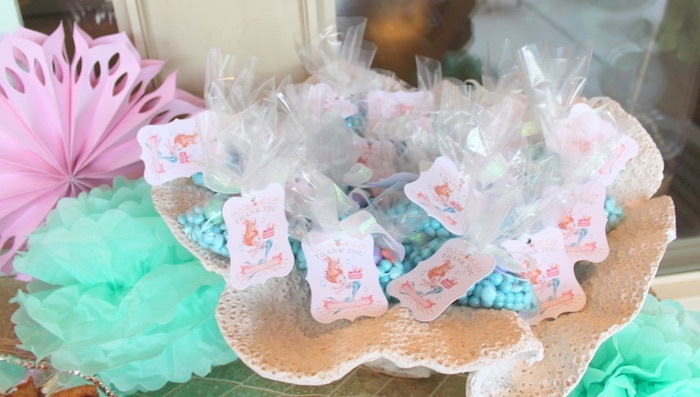 Splash on over to this Birthday Popsicle Pool Party and this Make a Splash Themed Pool Party! 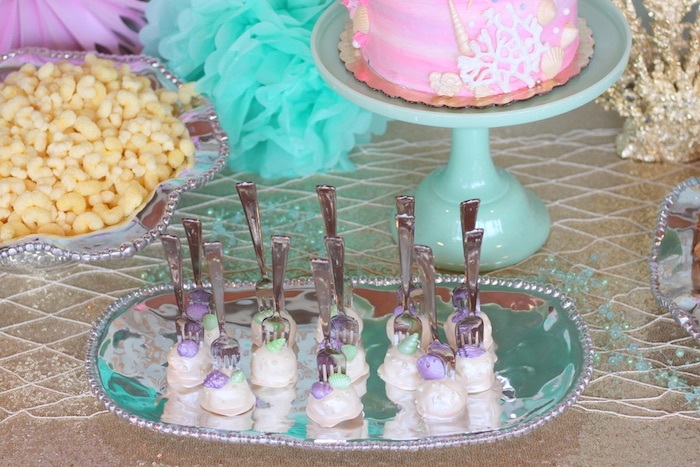 Where did you get your cake stand from?